Survey: ATM, Checking Account Overdraft Fees Surge The survey released Monday by Bankrate.com finds the average fee for using an out-of-network ATM climbed 5 percent over the past year to a new high of $4.35 per transaction. Banks are reaping bigger fees whenever customers overdraw their checking accounts or use ATMs that are not affiliated with their lender, a new survey shows. The average fee for using an out-of-network ATM climbed 5 percent over the past year to a new high of $4.35 per transaction, according to a survey released Monday by Bankrate.com. Overdraft fees also surged, rising on average over the past 12 months to $32.74. That's the 16th consecutive record high, the firm said. Checking account fees have been increasing as lenders adjust to federal banking laws and regulations enacted after the 2008 financial crisis. Among the changes: limits on when banks can charge overdraft fees on ATM and debit card transactions and a reduction in the fees that banks charge merchants for each customer who uses credit or debit cards for their purchases. Lenders have responded by hiking overdraft and ATM fees, as well as increasing how much money customers must maintain in the bank to avoid checking account fees. "I expect fees to continue increasing in years to come, but at a modest pace consistent with what we saw this year, just as was the case prior to the onset of these regulations," said Greg McBride, chief financial analyst at Bankrate.com. Using an ATM that's not affiliated with your bank will usually lead to two fees. One is charged by your lender; the other is charged by the owner of the ATM. That's the fee that's risen most consistently and at a faster rate, McBride said. All told, the average fee for using an out-of-network ATM has vaulted 23 percent over the past five years. It has notched a new high for eight years in a row, according to Bankrate. The firm surveyed the 10 largest banks and thrifts in 25 large U.S. markets. The average ATM fees vary across the markets in Bankrate's survey. Phoenix had the highest average fee for users of ATMs outside their bank's network at $4.96 per transaction. Cincinnati had the lowest average at $3.75. Philadelphia had the highest average overdraft fee at $35.80. San Francisco had the lowest at $26.74. 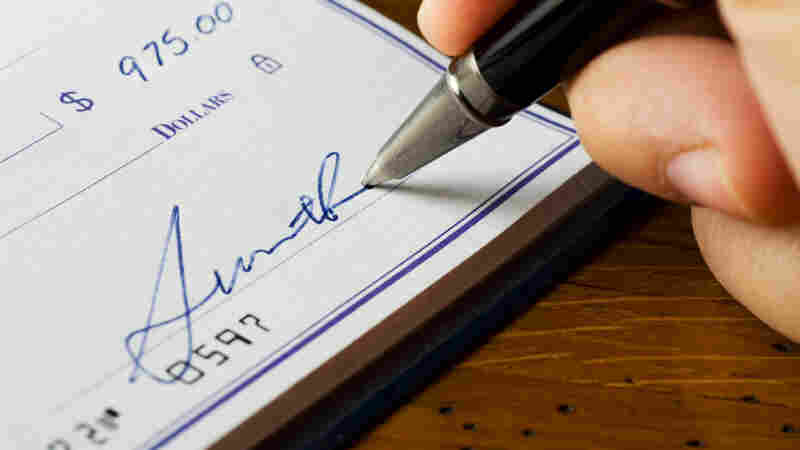 The largest U.S. banks all offered free checking with no strings attached until 2009, when the share of all noninterest checking accounts that were free peaked at 76 percent, according to Bankrate. It's now at 38 percent; that's unchanged from last year and only slightly lower than 39 percent in 2012. Even so, consumers looking for checking accounts without monthly fees have plenty of options. Many credit unions, smaller community banks and online banks offer no-strings checking accounts. Many banks that do charge a monthly fee will often waive it if the accountholder has their paycheck deposited directly into the account. Not all bank fees rose this year. The average monthly service fee for a noninterest checking account fell 5 percent to $5.26 over the past 12 months, Bankrate said. Despite the increased fees, there are ways savvy bank customers can avoid them altogether. Use your bank's website to find fee-free ATMs or, if available, get cash back at the register when using a debit card to shop. Avoiding overdrafts is a matter of keeping tabs on your available checking account balance, something that's easier than ever with mobile banking apps. You can also sign up for email or text alerts if your balance gets below a certain level.